Looking for the Perfect Pre K Learning Environment? Prekindergarten is a major part of children’s educational progression. In other words, it’s a big part of growing up and learning! As children approach the age of about four years old, it’s usually time for them to enroll in a pre k learning program. Around this age, you might see your children developing in many different areas. Most kids around this age show a great amount of physical growth. Many 4-year-olds are developing socially as they learn to spend time with their peers. Some are also developing emotionally as they are starting to better express their feelings. Cognitive growth is also a major part of growth for kids this age! 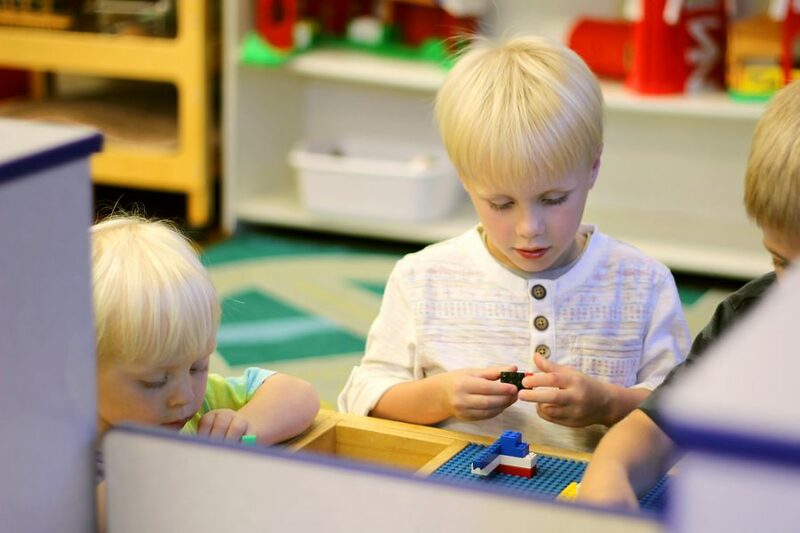 Since there are so many areas of wonderful development, it’s important to make sure your children are in a pre k learning environment that will facilitate and nurture their growth in these areas. We’ve talked a little bit about some of the developments you’ll see as your child approaches this age. But, let’s go a little further into the details. A lot of kids at this age begin to learn more about communication. They speak more fluently and ask questions about the meaning of words they don’t recognize. In fact, many kids this age will start to ask loads of questions and seek information. This is a good thing! It means that your little one is intrigued by his or her world. And it means that your little one wants to learn more about what is happening all around. This is another sign of cognitive growth. But, it’s also a sign of emotional development because it shows that your child wants to be connected to the people and places he or she sees. Problem-solving and conflict resolution are also things you might see developing in your little one. A lot of 4-year-olds begin to learn more about these things as they play and work with other kids their age. This is a sign of social growth and development. Kids around this age often learn how to express their emotions and share their feelings with others. They may also begin to show empathy for others. All of these are common yet wonderful signs of emotional and social development! Furthermore, kids who are around this age also tend to take more interest in themselves and who they are. As you can see, your little one is experiencing some amazing elements of growth and development. This is one of the main reasons it’s important to make sure your child has the best possible pre k learning environment! Let’s talk a little more about what that means. Enrolling your kids in a child care center that caters to early learning is one of the best things you can do! As we’ve already discussed, even the youngest of children are learning and developing in many areas of their lives. So, it’s really important to make sure that they spend time in a place that is devoted to inspiring pre k learning. An environment like this will nourish your child’s growth and development and encourage him or her to continue to develop in all areas. Not only will your little one get educational guidance, but there will be plenty of opportunity for social and interpersonal interaction in this kind of environment! An early learning center is more than just a place where your kids can receive supervision while you are apart from them. It’s also a place that is dedicated to meeting your kids’ social, educational, emotional, and physical needs. If you’re looking for a great pre k learning environment for your child, contact us here at Ivy Prep Early Learning Academy!